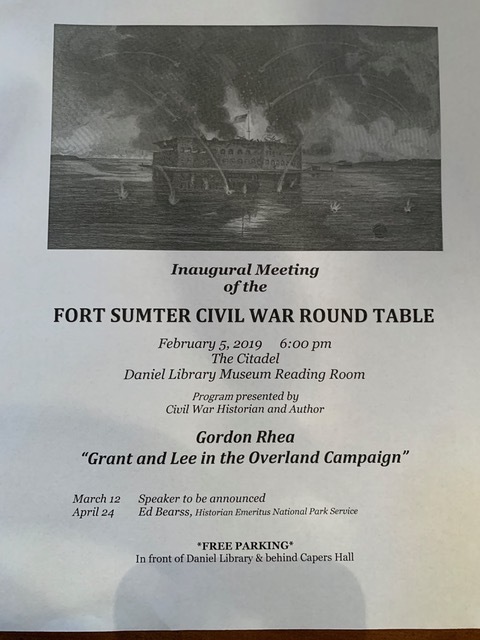 Good Friend Jim Morgan (of A Little Short of Boats fame) has relocated to Charleston, SC, and helped found the new Ft. Sumter Civil War Round Table. The group’s inaugural meeting will be February 5, 2019, 6 PM at The Citadel’s Daniel Library Museum Reading Room, with author Gordon Rhea speaking on the Overland Campaign. March will see Frank Johnson of the Hunley Museum, and April will feature the granddaddy of them all, Ed Bearss. 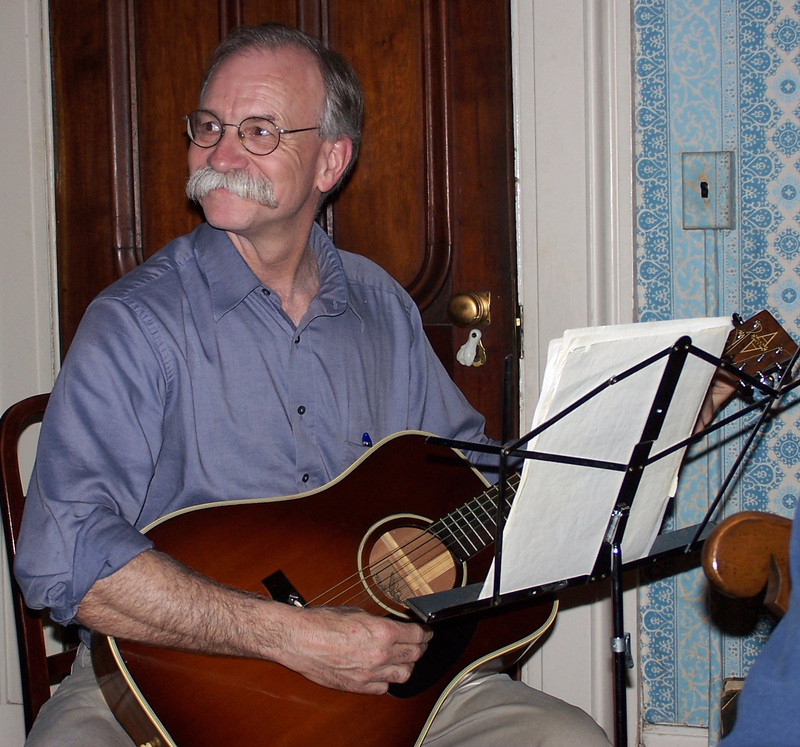 If you’re in the area, stop and check it out, and tell Jim you heard about it from me! Friend Jim Morgan sent the following message this morning. 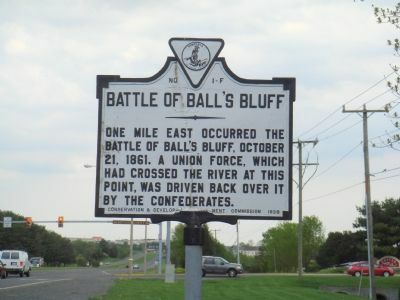 As many of you know, the Department of Historical Resources historical marker about the battle of Ball’s Bluff was recently stolen from its location near the intersection of the Route 15 Bypass and Battlefield Parkway. The Friends of Ball’s Bluff have taken on the task of raising funds to replace it. It was one of the very earliest of these markers in the state, as it was first installed in 1928 (though its original location was on Route 15, King Street, near the entrance to the Leesburg Union Cemetery). As you will see in the story, we are taking this opportunity to update the text in the new sign. The old one did not provide much information beyond the mere fact of the battle. The updated text is included in the story. As of today, we have raised about $350 of the $1630 needed for a new sign and we really have just begun this fund-raising campaign. I’m confident that the historical community in this area will come through as it so often does for the various kinds of projects in which we all try to get involved. Please send any donations to the Friends of Ball’s Bluff at the address noted in the newspaper story. And feel free to pass this appeal along to anyone whom you think might be interested. Thanks in advance to all of you who can help. Please contact me with any questions. I want to let you know that our fund-raising campaign has been a success and we have raised the $1630 necessary to pay for a replacement sign. Thanks to all of you who donated and helped spread the word. We await the final approval of the text by the DHR board on March 19 but we don’t anticipate any problem with that. Once that’s done, we’ll order the sign. Getting it manufactured and then installed will take a couple of months. We will be holding a dedication ceremony probably in June but I’ll be in touch with final details once everything is arranged. This campaign went much more quickly than any of us had anticipated. We on the Friends of Ball’s Bluff board deeply appreciate the generosity of the Civil War and historic preservation communities. Again, my sincere thanks.